Neko Magic: Anime & Figure News - Asobi ni Ikuyo! Life-size Assistroid plush by CM's Corp.
Asobi ni Ikuyo! 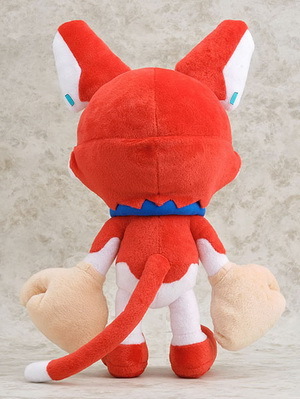 Life-size Assistroid plush by CM’s Corp.
August 22nd, 2010 By: GGT Category: 2010/09 release, Figure News. CM’s Corp. is going to release the Life-size Assistroid ( ほぼ等身大 アシストロイド ) plush from the light novel/manga/anime “Asobi ni Ikuyo!” ( あそびにいくヨ! ). Will be released in September 2010. Around 400mm tall, 5,000 yen. 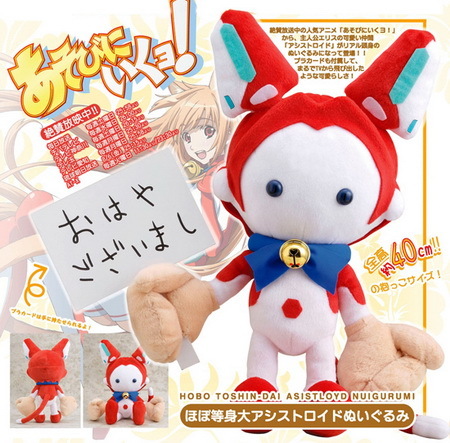 From the popular anime, Asobi ni Ikuyo!, comes the protagonist Eris’s cute companion – Assistroid- in as an almost life-size plush! He even includes his placard; its like he just walked out of the TV!